The villas in Pelican Bay offer the perfect combination of carefree living with the comfort and luxury of a single family home. There are many unique combinations of attached and detached villas and all offer private use garages. The villa communities vary in location, living square footage, quality and price. Each community has a variety of architecturally designed floor plans and building elevations. Each community is positioned to offer views including lakefront and/or golf course fairways and all have beautiful lush tropical landscaping to accent the buildings throughout the community. All of the villa communities offer first class amenities such as sun decks, atriums, private gardens, swimming pools, tennis courts and fitness centers. These amenities provide a great lifestyle to all its residents and guests. 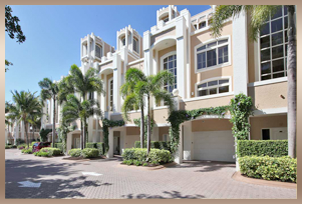 Real estate in Pelican Bay Naples Florida is some of the finest. Beauville is conveniently located near the Club Pelican Bay. The community is best accessed from Green Tree Drive and is located at the northern portion of the community. It is comprised of both attached and detached villas that range from 1300 to 3000 square feet of living areas. Residents of the neighborhood enjoy views of golf course fairways, preserves or landscapes. For discrete and professional service, please call me to schedule a private viewing of any one of these Pelican Bay villas listings. If you would like for me to do all of the research for you, please call me with your search criteria and I will email you all of the listings that you should be considering, and that specifically match your lifestyle requirements. 239-963-6590.